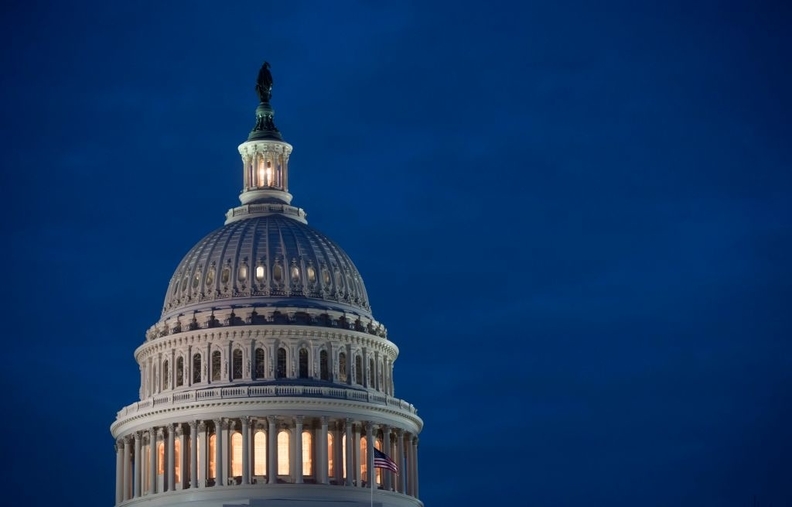 The budget deal that stymied Congress for months is done, and it has opened the taps for long-awaited health funding and even an extra extension for the Children's Health Insurance Program. In a surprise move, it also repealed the unpopular Medicare Independent Payment Advisory Board, a commission charged with finding savings for the program, which adds roughly $17.5 billion to the deficit. Senate leaders on Wednesday announced their two-year, $400 billion spending deal on Wednesday afternoon. Their package would raise spending caps, freeing up long-awaited appropriations to combat the opioid epidemic—$6 billion over two years—and fund disaster relief for states and territories. All the expired Medicare programs, known as extenders, are funded, and community health centers get a funding boost—$3.8 billion for fiscal 2018 and $4 billion for 2019. The House package would grant just $3.6 billion for both years. As in the House measure, the package incorporates the CHRONIC Care Act. This includes tweaks to Medicare rules for chronically ill enrollees. Most significantly, CHIP will receive an extra four years of funding—bringing the previous six-year extension to a full decade. The extra extension would save the federal government $6 billion, according to the Congressional Budget Office, because of the coverage it offers for children who would otherwise need to be subsidized on the health exchanges. The Senate package would also close the coverage gap for Medicare drugs faster. The gap, known as the "donut hole" leaves some beneficiaries exposed to high costs. The Senate kept provisions that House Democrats didn't like including the cut to the Affordable Care Act's Prevention and Public Health Fund in order to pay for the package. Other proposed savings include a revision of the physician fee schedule, a policy that reduces hospital Medicare payments when the hospital transfers a patient to hospice after just a short stay; and a policy to block "artificial inflation" of star ratings of various Medicare Advantage plans in the case of insurers' consolidation. The Medicare Improvement Fund also gets a cut. Once the Senate passes this package, it will get kicked back to the House for a vote. The two chambers have until Thursday at midnight to work out an agreement before Congress' last short-term budget stopgap expires. Votes haven't yet been scheduled. "Later this week let's pass this budget into law alongside an extension of government funding," Senate Minority Leader Chuck Schumer (D-N.Y.) said on the floor after he and Senate Majority Leader Mitch McConnell (R-Ky.) announced the parameters of their deal. "Let's hope the House will follow suit." Despite the big health measures, not all industry stakeholders are happy with how Congress would pay for the package. McConnell and Schumer announced the end of the domestic and defense sequesters. However, the Medicare sequester gets another two-year extension, and providers are mostly resigned that it will be permanent. The Medicare sequester was approved in 2011 as part of the Budget Control Act but didn't take effect until 2013. Since then it has continues to serve as a piggy-bank for Congress when it comes time to raise federal budget caps. It was last extended through 2025 but now will continue through 2027. The Medicare sequester imposes a 2% cut in provider reimbursements. Correction: An earlier version of this story incorrectly stated VA Choice would be affected by the spending bill. This error has been corrected.